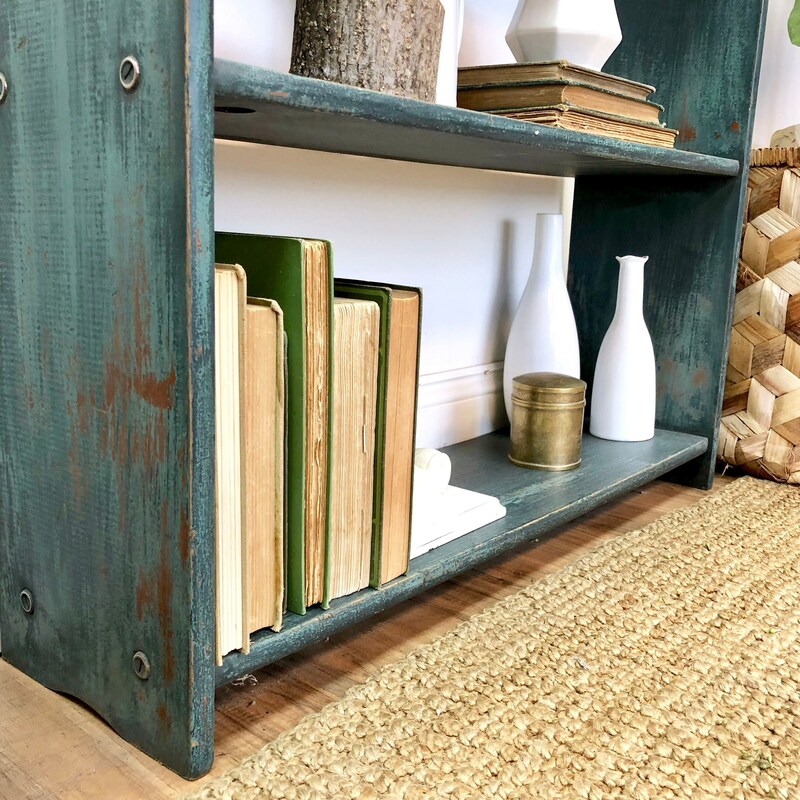 Let this striking bookshelf bring a color contrast against your neutral walls. 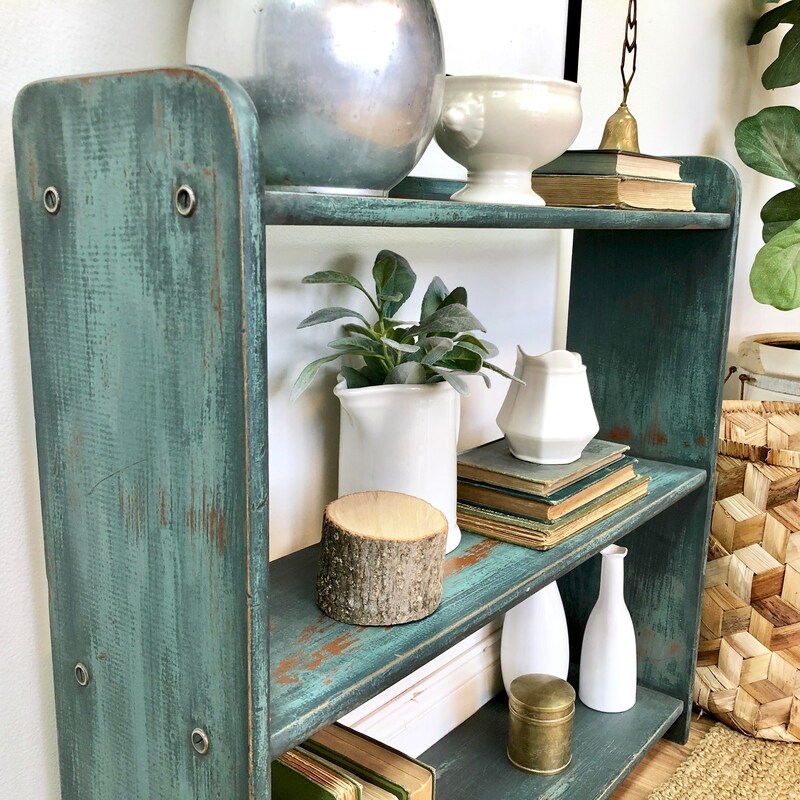 The distressed two-tone colors add creativity and wonder to your room. 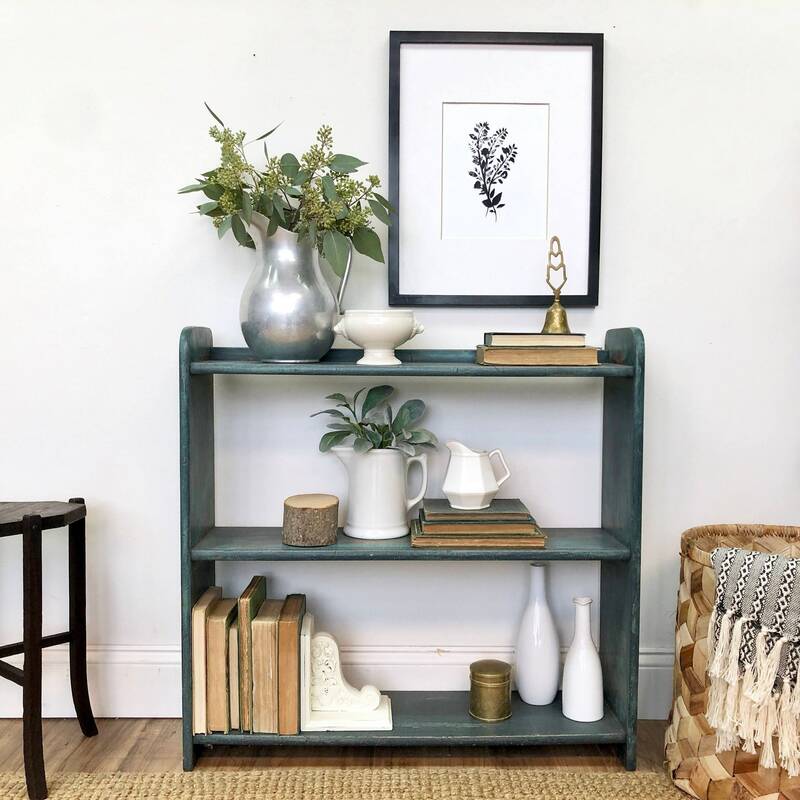 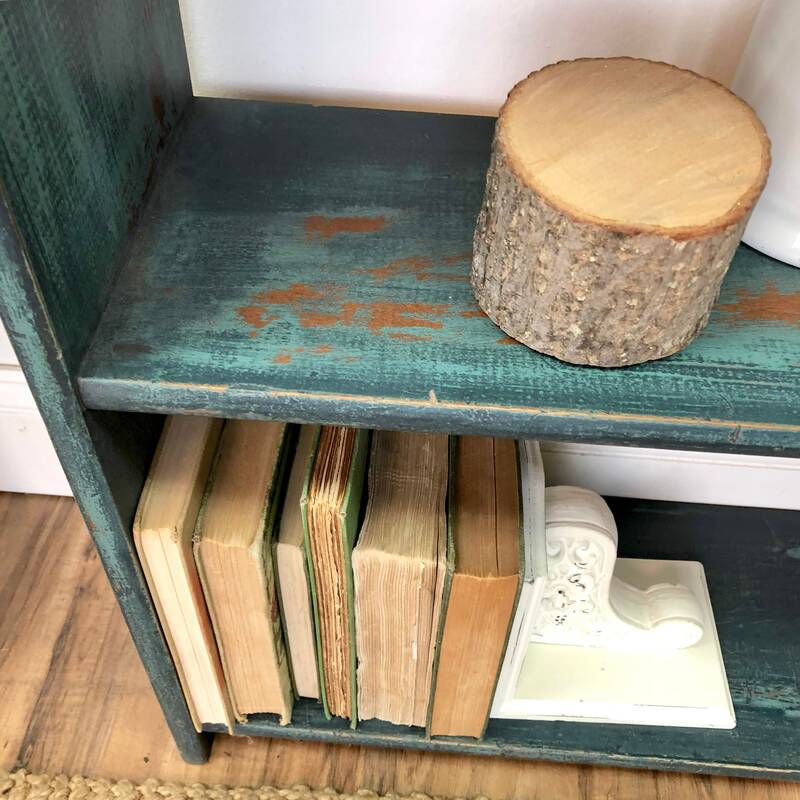 Place this bookcase in your living room or craft area and decorate it with books, baskets, and pretty candles. 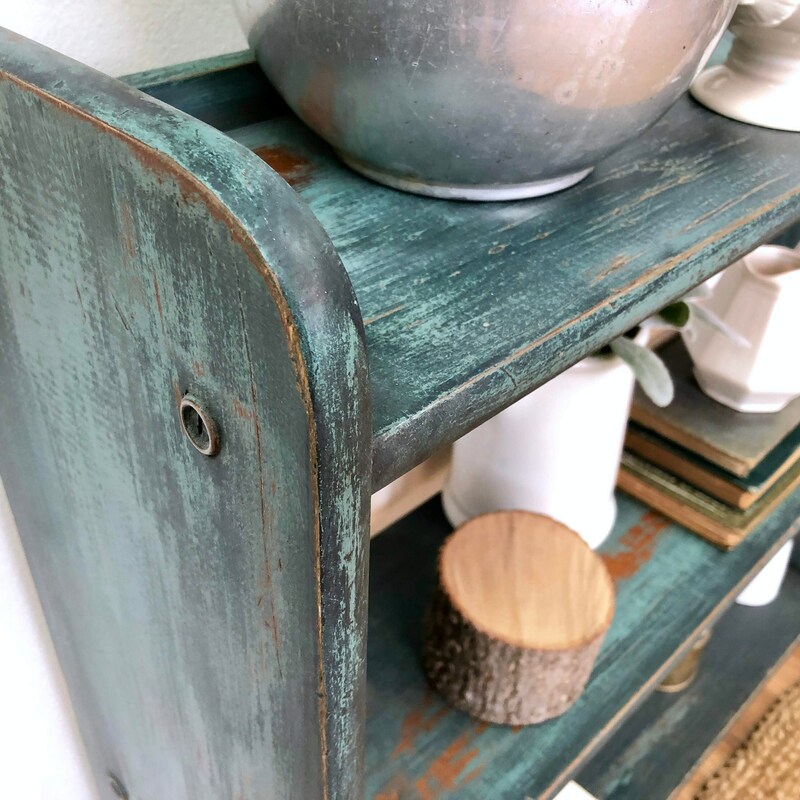 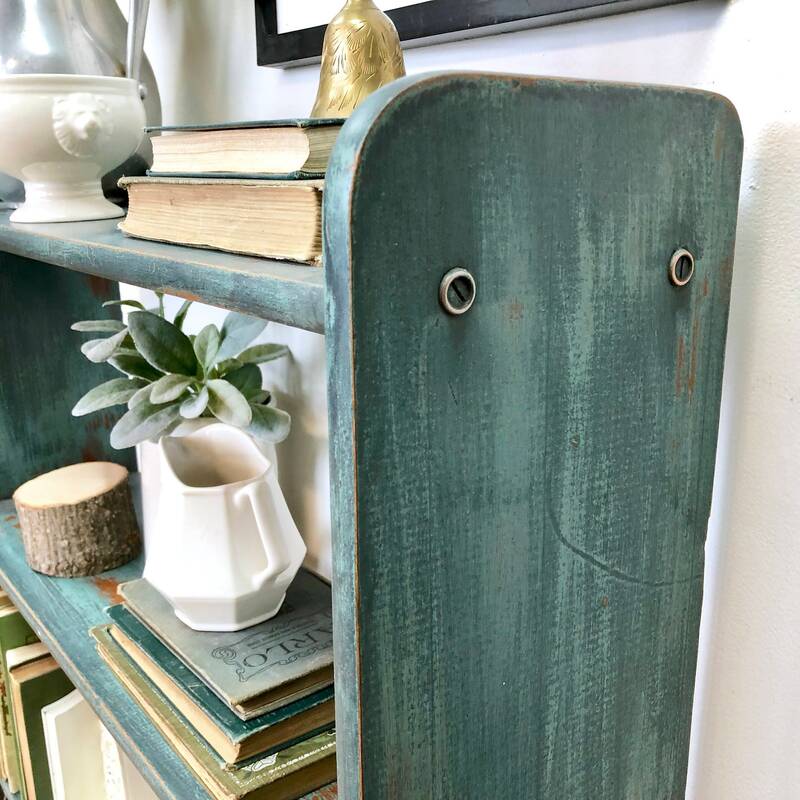 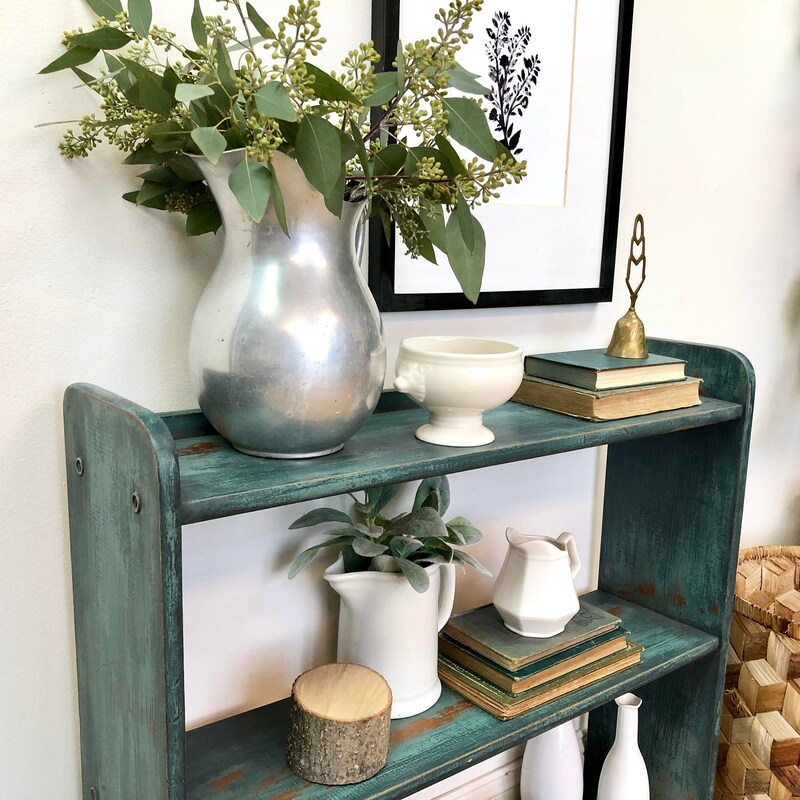 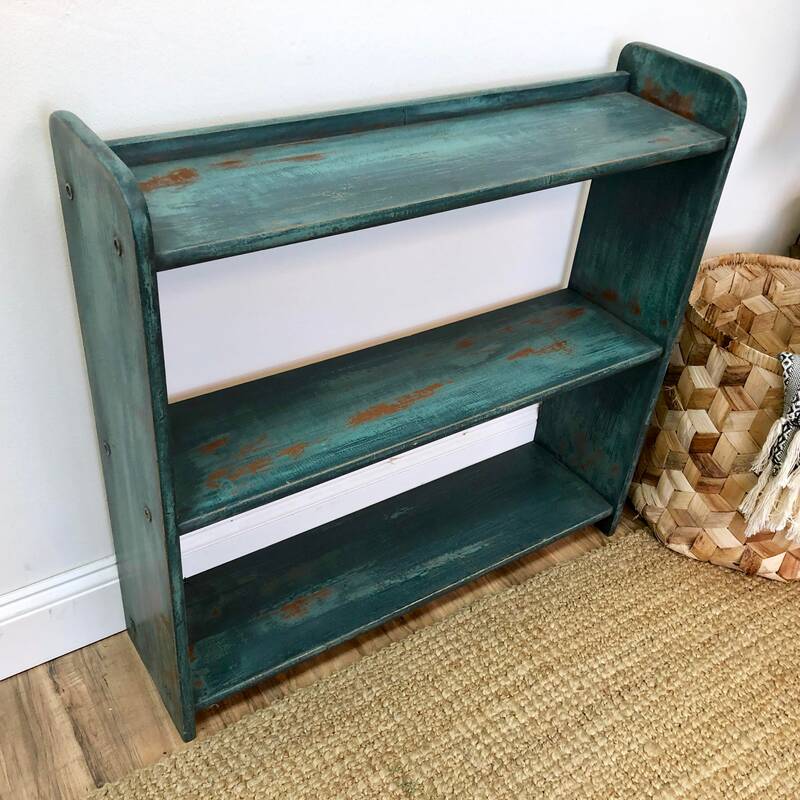 It has been hand-painted in two layers of milk paint — first a teal green color and then a navy blue color over the top. 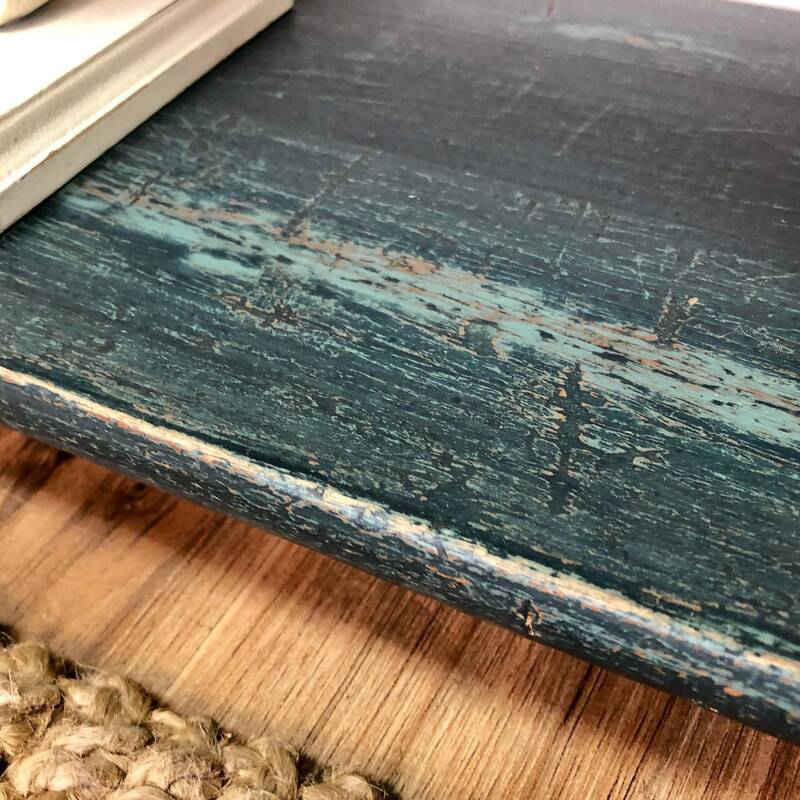 We distressed it in various areas for the green color to peek through. 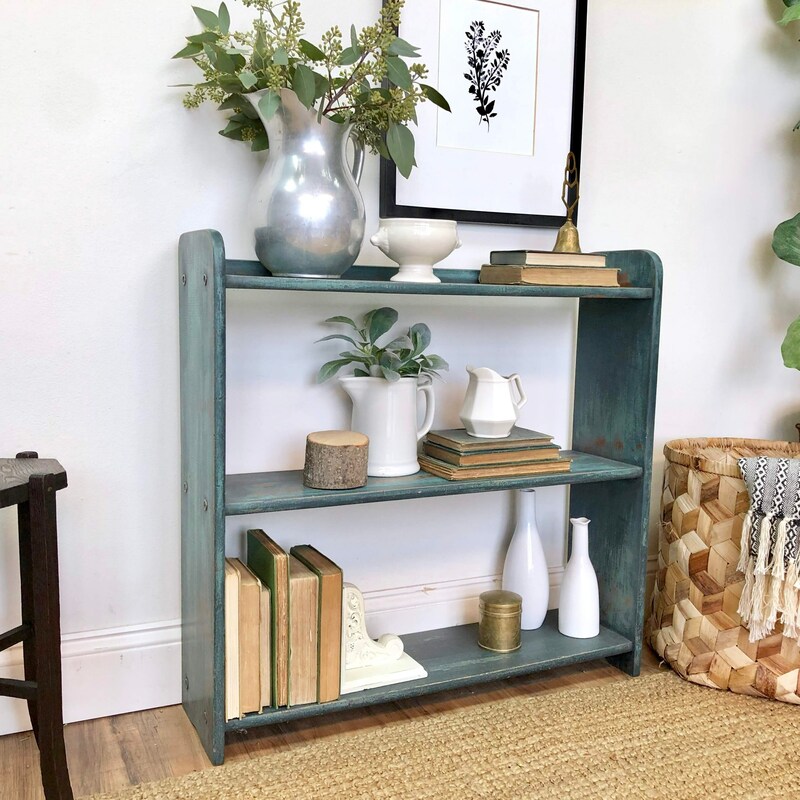 This wooden bookcase is in excellent, sturdy, vintage condition.